Bond 23 - Mendes Confirmed, Writers Change? After a week of April Fool's, tabloid rumours and movie blogs running endlessly recycled hype and hoaxes, some refreshing information on the 23rd James Bond film has come to light today. Respected British newspaper The Telegraph has today confirmed that Sam Mendes will be helming Daniel Craig's third outing as 007. The paper's Mandrake column said, "Sam Mendes caused astonishment when he announced the end of his marriage to Kate Winslet, which had been seen as one of the most solid in show business. He is now provoking intrigue in his professional life. Barbara Broccoli, the producer, confirmed to Mandrake recently that Mendes, 44, would be the director of the next James Bond film." Mendes is currently understood to be signed as a 'consultant' on Bond 23 to avoid a trigger payment from cash-strapped MGM. As the future ownership of the studio is in question, EON have avoided any possible ownership issues on the movie by holding fire on Mendes signing as director until the situation is resolved. MGM's debt holders have extended the freeze on interest payments until mid-May to help the lion find a new suitable owner, or other financial restructuring plan. Still on the subject of Bond 23, The Telegraph also says that Peter Morgan, the screenwriter of "Frost/Nixon" and "The Queen", who had been announced as one of the writers on the 007 film, may no longer working on the script. "Patrick Marber, the acclaimed playwright, is understood to be wanted by Mendes as his replacement. 'It is a mystery worthy of a Bond script,' says Mandrake's source. A spokesman for the Hollywood studio MGM said: 'The film-makers say the Morgan / Marber switch is just speculation.'" Above: Writer Patrick Marber, said to be joining the Bond 23 script team. MGM may have little knowledge of the work being done on Bond 23 behind the scenes by EON, and it is a standard response from the studio. Peter Morgan said he completed his work on the Bond 23 draft between July and October last year, until his work was put on hold due to the MGM debacle. 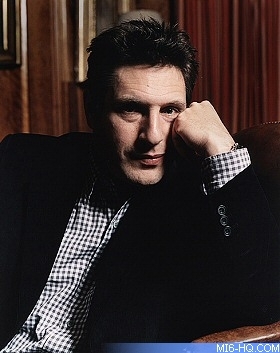 Oscar nominated and British-born writer Patrick Marber has seen success with a couple of high-profile films in recent years, including "Closer" (2004) and Dame Judi Dench starrer "Notes on a Scandal" (2006). Marber picked up the BAFTA for Best Short Film last year with "Love You More". He is also known for writing on comedy projects with Steve Coogan. 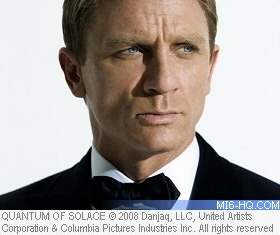 In recent months, Daniel Craig has said he expects filming to start in late 2010, indicating a tentative release window of late 2011. Dame Judi Dench has been told to hold her diary for early 2011 to film her scenes as MI6 chief M.
Bond 23 is being written by regular Bond duo Neal Purvis and Robert Wade, and "The Queen" and "Frost/Nixon" scribe Peter Morgan. Daniel Craig will play 007 for the third time, with Dame Judi Dench returning as MI6 chief 'M'. David Arnold will compose the score for his sixth 007 movie. Producers Barbara Broccoli and Michael G. Wilson have yet to confirm a director, although Sam Mendes is understood to be in a holding pattern.